Open doors to new markets and demographics communicating in Spanish. LanguageTranoffers Spanish Translation Services to help companies, education agencies, governments and individuals to communicate effectively with the Spanish world. Our work is backed by many years of experience with small and large projects and hundreds of satisfied clients. LanguageTran’s experience in Spanish translations is backed by thousands of small and large projects and hundreds of satisfied clients. Our Spanish translators are selected through a rigorous selection process because we only work with the best Spanish translators in the industry. Besides being superb linguists, many are professionals with degrees in law, medicine, and engineering, among other fields. Accuracy and consistency are managed through a stringent quality assurance process. Our goal is to produce translations that convey the exact meaning as the original document and that the translation reads as if it was written in the target language. We take into consideration the different Spanish dialects to adapt our work to the needs of your audience. The result is that the potential reader is not distracted by dialect issues and can focus on your message. If you need to reach an audience in a certain country or geographic area, let us know so we adapt your text. ​The Spanish language is the official language in 21 countries and its the third most widely spoken language in the world. 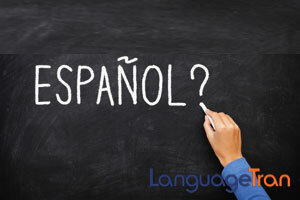 More than 400 million people speak Spanish worldwide. In the USA 25 million people speak it at home, making the US the second largest Spanish speaking country in the world. Spanish is also the third most widely used language in the Internet. By bridging the language divide you can expand your potential business opportunities considerably. Let us assist you with your Spanish translation service needs.